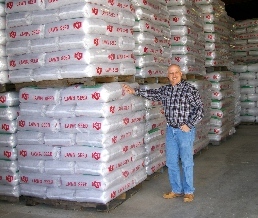 In Missouri and all across the U.S., there's no better place to buy fescue seed than Porter Seed House, owned and operated by the Porter Family for three generations. Porter Seed House buys and sells only the highest-quality midwestern-grown Kentucky 31 Tall Fescue, and ships anywhere in the country. Customers constantly remark on the careful way we ship our product. The bags are neatly stacked on a pallet and shrink-wrapped for a secure journey to their final destination. Laser tags and barcoding are also available for your convenience. 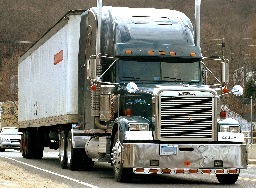 To ensure that your shipment arrives in the same condition it left our warehouse, we employ only the most reputable carriers with the most current equipment, and each shipment is handled with the greatest care possible. 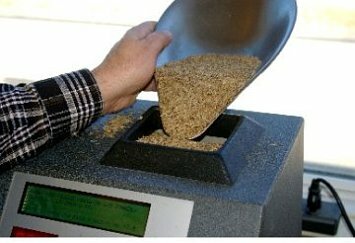 Sampled and tested at a licensed lab, our Kentucky 31 Tall Fescue seed conforms to the strictest standards of quality, easily meeting all state and federal regulations as well as the most discerning customer's expectations. 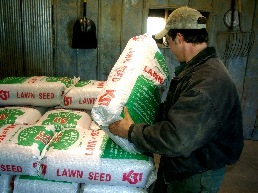 Looking for a place to sell your high-quality fescue seed near Bolivar, Missouri? Porter Seed House is in the market and will buy seed year-round. Give us a call today! "The Seed House," as it's been known locally for some 40 years, was purchased by Martin and Linda Porter in 1976. The day-to-day operations are now mostly handled by their son Tony, who is assisted by his son, Austin, making three generations of Porters in the seed business. Martin and Tony are both past presidents of the Missouri Seedmen's Association. Proud Supporter of the FFA!